Evaburn WAS a contemporary worship band with a sound that echoes the music of the generation. Their music was widely be categorised as rock and had been influenced by bands like the Foo Fighters and Greenday as well as Christian acts like Delirious and Tim Hughes. 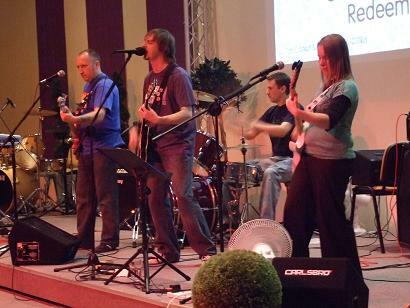 The band formed in October 2006 with the desire to worship God but with no real idea of what the band was going to sound like. Initially the group set about practising worship standards by people like Matt Redman and Tim Hughes but as soon as the original songs started flowing it became apparent that this wasn’t going to be a ‘covers’ band.